Yet, like any good liberal, he blames the wrong side for the failure. Clinton and Barak (that name is always trouble!) offered the Palestinians 99.9% of the store and Arafat refused, for you see, there would still be Jews living on earth, there would still be a place called Israel. He couldn’t live with that. Same with the thugs that followed him. Even an old war-horse like Ariel Sharon was ready to take the first big step into Israel’s oblivion and it wasn’t enough for the Palestinian Authority. And, of course, Clinton wants us (and himself) to believe that it’s Israel’s fault. Many on the Left believe if there was no Israel there would be peace in the Middle East, and in a sense they’re right. When Hitler controlled nearly all of Europe, it was a pretty stable region until the Brits and Americans messed it all up. Anywho, one has to wonder what the end-game will be: Israel’s destruction by a thousand cuts or a final all-out war in the region? 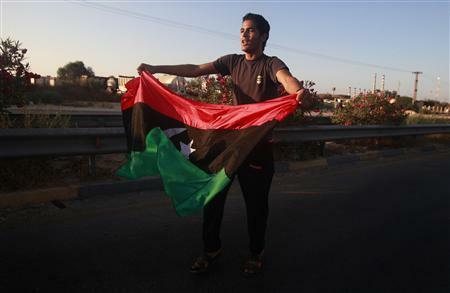 Libya On The Verge Of Toppling Gaddafi? Or so it would seem. Don’t want to get overly optimistic, but this might finally be the end of Gaddafi. Yes, lot’s of folks like Obama will try and take credit, but who cares…let them. The important thing is that Libya might have a chance at freedom. Odds are against liberal democracy, but you never know unless you try. Cheers to NATO for the air support and cheers to the rebels for risking their lives for a chance at freedom. 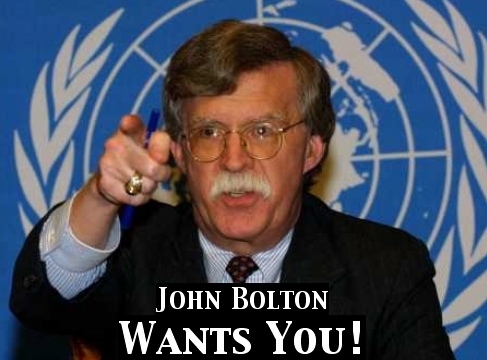 Bolton claimed Israel has only three days to strike before Russia “begins the fueling process for the Bushehr reactor this Friday,” after which any attack would cause radioactive fallout that could reach as far as the waters of the Persian Gulf. I’m skeptical a strike is in the works, which means a nuclear Iran is pretty much a certainty. Not a shock to anyone who pays attention and sees through the diplomatic double-speak, but few have the guts to spell it out like John Bolton. The dirty little secret is that countries like Egypt, Jordan, Saudi Arabia…pretty much everyone except Syria, would love to see Iran de-nuked and cut down to size. They’ll deny it up and down and condemn Israel if they do strike, but privately they’ll be relieved. Then, Iran. The folks at Twitter can hold their heads high for what they have done for the people of this despotic nation who are trying to kill a monster with nothing but their hands and their voices. Twitter proved to be such a valuable platform for getting the word out to the rest of the world that our own State Department stepped in and asked Twitter to delay a schedule network upgrade (and thus temporary shutdown) in order to keep the information flowing. The violence continues in Iran over their recent rigged election. It’s weird that everyone is so worried about who is President of Iran when he’s really nothing more than a press spokesman for the Ayatollah. Anywho, my heart goes out to these young people fighting for their freedom from despotism. Gateway Pundit has a roundup. Rick Moran over at the American Thinker looks at the electoral victory of pro-democracy forces in recent Lebanese elections. Well, Obama gave his big speech in Cairo. So far it looks like the usual suspects are impressed…the state-run media and the academics. Meanwhile, Israel, American conservatives and Muslim extremists are not so enamored. 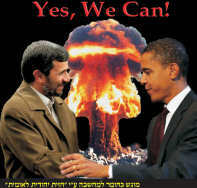 The Rightists in Israel are putting out a new poster that you see here. Rather extreme, but I don’t blame them for being fearful. The part about the Palestinian state is what gets my goat. Yes, everybody is for a two-state solution, except for one very important party…the Palestinians! They turned down the offer in 1999 because they will only accept a one-state solution which would involve the total destruction of Israel. Why can’t anyone get this? Hard to get too worked up about this, because it’s nothing new. This was a view held by many of the Foggy Bottom wonks in the Clinton administration. Many believe it would be a better world if many countries had nukes rather than just the United States which was part of the reason the Clintons sold missile technology to the Chinese. It’s also believed by some that democracy is no better than any other system…it’s all relative. Yes, Postmodernism is back, in a big way. UPDATE: Great minds think alike. Victor Davis Hanson on Obama’s postmodernism. I believe Hillary is famous for using the term “the willing suspension of disbelief“. Who knew it was a core philosophy?